This is a 3-Phase Grid-tie system powered by SMA and 12x255W Canadian Solar Panels. The system also has an 800Amp/h back up battery bank to run fridges/waterpumps/TV's should Eskom not be supplying power. 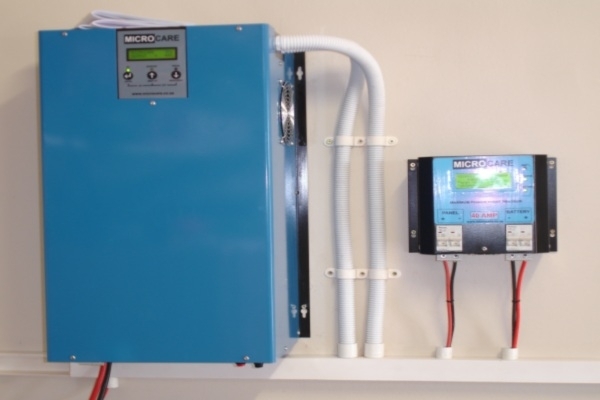 The back-up system Inverter and Power Point Tracker Supplied by Microcare. 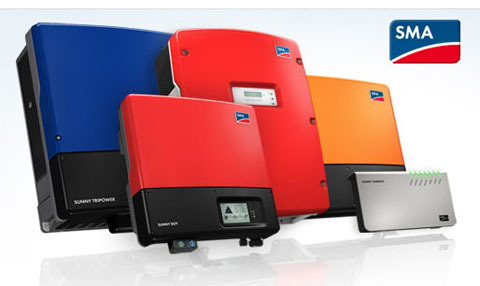 The system feeds excess power not being used-via the 3-Phase SMA inverter- back into the grid turning the meter back. 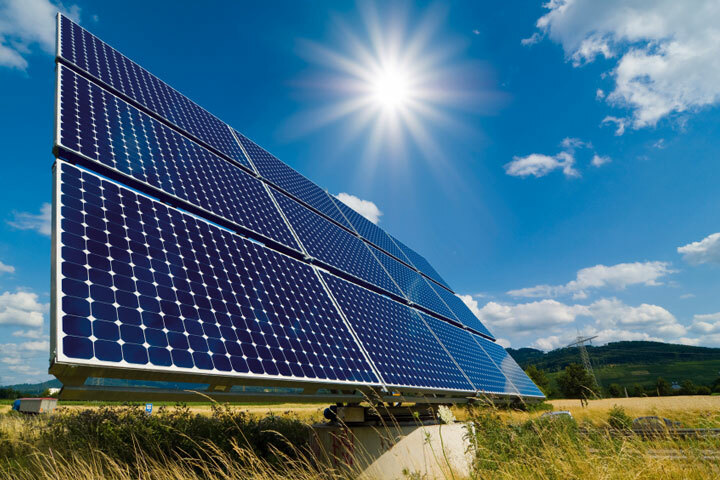 Ensuring all the power you harvest from the sun is turned into monthly savings. Designed, engineered and installed by Solarops. 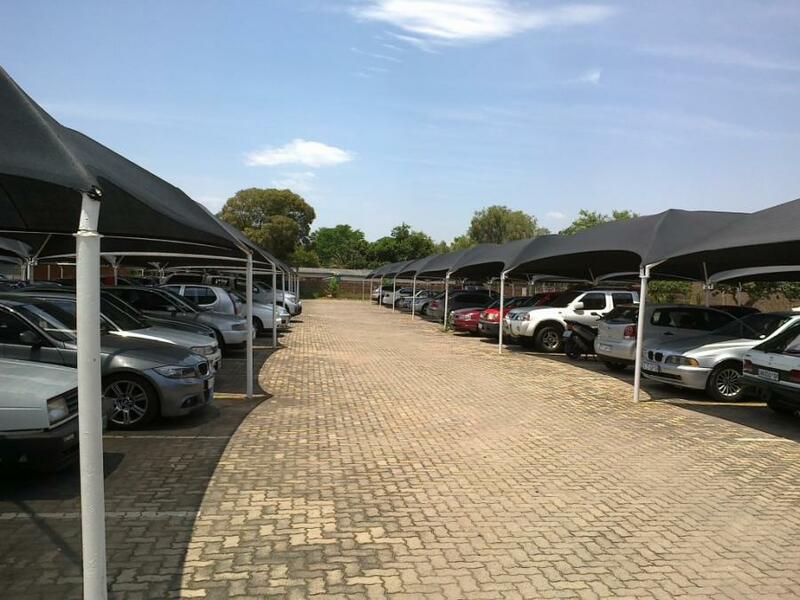 This Solar System, installed by Solarops, provided the lighting power for around 300 parking bays. A good example of a business start up system. 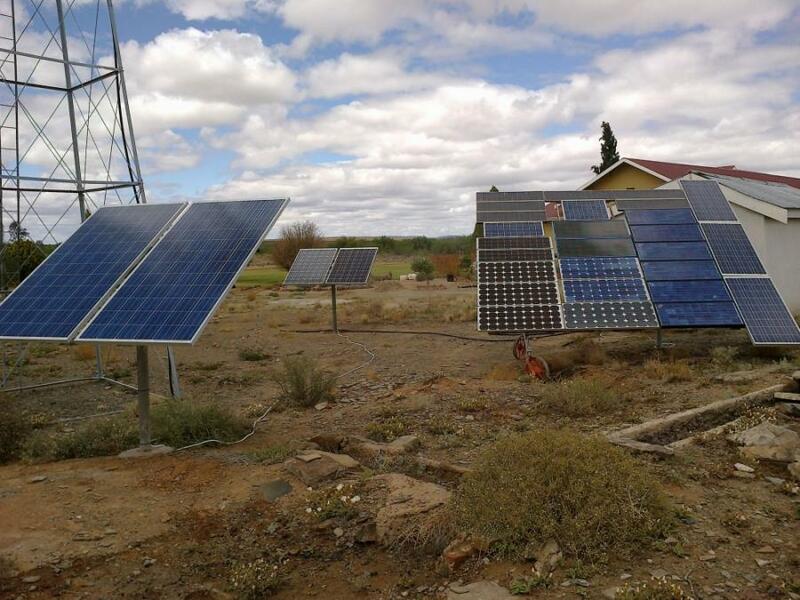 This 4 panel system installed by Solarops allows this Karoo Sheep farmer to run his entire farm almost exclusively on solar power. Updated: New set of 2V Lead Crystal Batteries and a new set of Panels installed by Solarops. 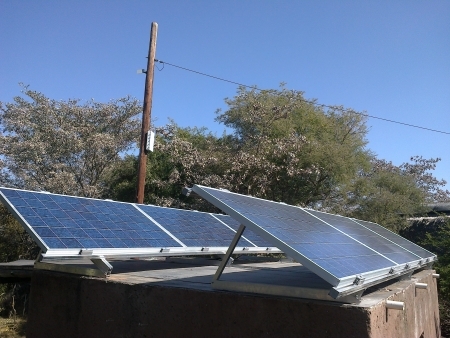 This 6 panel system supplies supplement power to this game lodge greatly reducing dependency on Eskom. Panels installed by SolarOps. Update: 3 New Panels added. 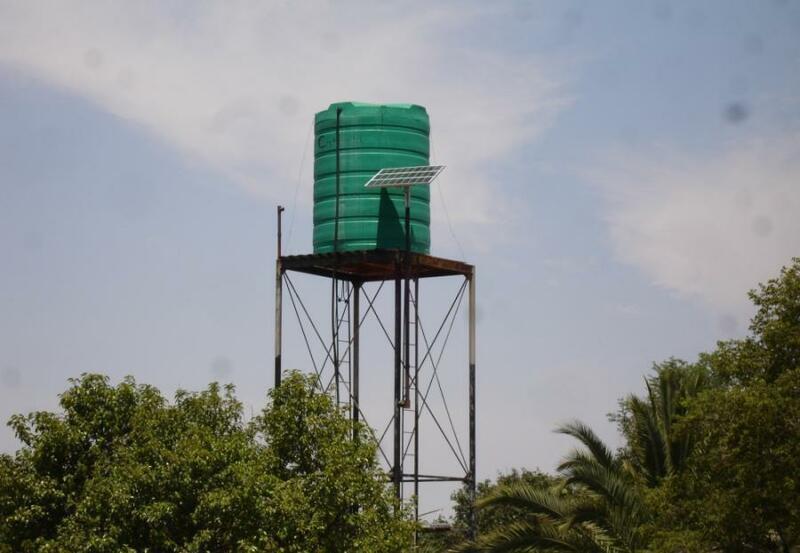 This is an 8 panel system installed on a hanger greatly reducing this pilots' dependency on Eskom. Full installation done by SolarOps. With no access at all to eskom power this Karoo farmer has to rely on alternative power and generators. The two front-most panels and Power Point Tracker installed by SolarOps. These 3 panels replaced an old dompel pump and now supply 4000 litres of clean free water daily for this plot in Broedestroom. Installation and maintenance done by SolarOps. Our biggest project to date. This is an off-grid system which means the owner of this lodge no longer needs to deal with Eskom. All of his power needs come cleanly from the sun. This is a 3KW system installed in a residential home in the Copperleaf Estate. The systems main purpose is to reduce this family's high energy bills. It uses a 3KVA Victron inveter along side a 5KW SMA inverter to supply both the batteries and house with energy from the sun via the 12 panels. This system uses a Victron 48/5000 in a ups setup. 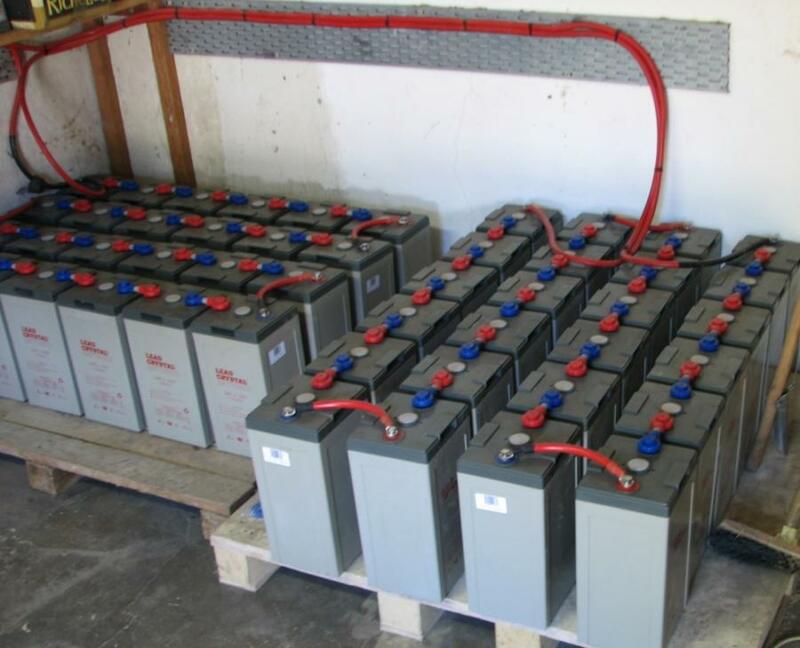 It provies 7.7kw of back up battery power which are charged via Eskom. This is a grid-tie system without battery backup. Purely to save on the monthly utility bill. It features a 12kw SMA 3 phase inverter and 30x 300w panels producing 9kw under perfect conditions and around 30kw a day. This is a 3kw ground mount system consisting of 18 panels, a Victron 48v 5000w Battery inverter and a 5000w SMA grid tie inverter using a frequency shift system. The system comes with a 4000w bank of backup batteries and saves the owner up to 60% on their monthly bill.